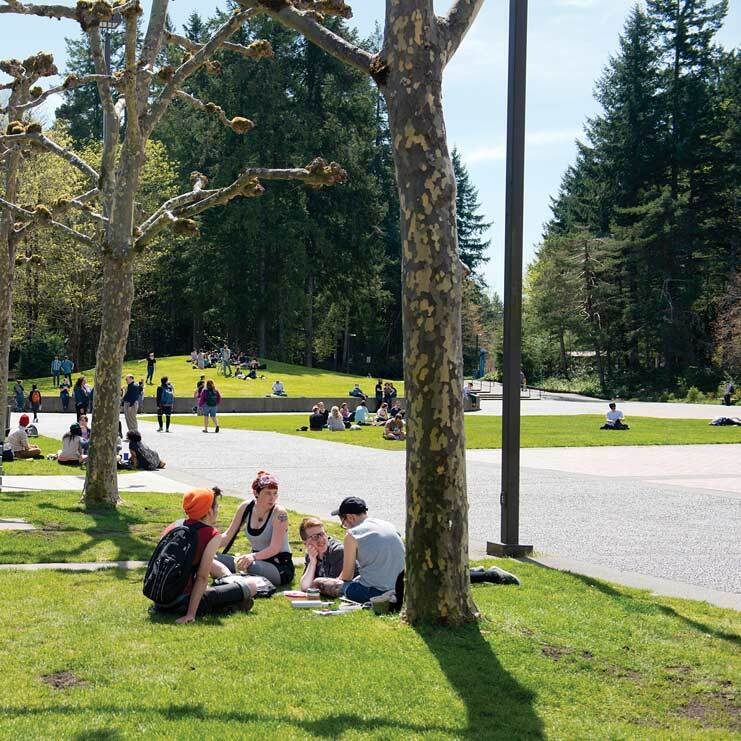 Evergreen’s Student Wellness Services offers a medical assistant program that provides students with the necessary training to be licensed in Washington State as a Medical Assistant—Registered. Upon successful completion of this program students are eligible to take the National Certification Exam for Medical Assistants and become credentialed as a Medical Assistant – Certified. Barbara Krulich, PA-C, Medical Assistant Program Director, provides the pre-fall quarter intensive training and the weekly in-services which are required for licensure. This program draws upon the strengths of students with a strong background in the humanities, as well as the social, psychological, and biological sciences. “Pathways to Healthcare” provides an opportunity for students to gain valuable clinical experience, working closely with a variety of healthcare professionals in a supportive clinical setting. This is an excellent experience that can influence and inform decisions about future careers in healthcare. The Pathways to Healthcare Medical Assisting Program is highly competitive. About 20 of the strongest candidates are interviewed in April. From those interviewed, 4 - 6 are selected for the following academic year's program and will be notified by the middle of May. If accepted to the program students must commit to a full academic year and work 16 -19 hours per week in the Student Wellness Center. Student Medical Assistants completing our program have entered a variety of healthcare fields. These include MD, DO, Physician Assistant, Nurse Practitioner, Nursing, Midwifery, EMT, Naturopathic, and Acupuncture programs. Students who will be juniors and seniors are eligible to apply. Outstanding sophomores may also be considered. Required: at least 15 credits in each of college level math, English, and a science. If you have completed INS, M20, M&M or similar programs you have met the math requirement. Recommended but not required courses include biology, anatomy & physiology, microbiology, and chemistry. Other important selection factors include at least six months of volunteer or community service work. This does not have to be in the medical field. It is important to create a comfortable and safe environment for patients and to cooperate within the team of healthcare providers and staff. The applicant should possess poise, tolerance, strong people and communication skills, and the ability to work/focus in a busy environment with multiple distractions. Previous medical experience is not required for application to the program. We provide all the training necessary to become a Student Medical Assistant (SMA). PLEASE NOTE THAT THE APPLICATION AND INTERVIEW PROCESS IS 8 WEEKS EARLIER THAN IN PAST YEARS. Applications are available Feb 9th at Student Wellness Services or on-line at: http://www.evergreen.edu/health/studentmedicalassistant . Prospective students must apply (applications due April 18th) and be interviewed in April 2018 to have the opportunity to participate in the 2018-19 academic year. Unfortunately there is limited space in the medical assisting program, which makes the application process rather competitive. Applicants not accepted are offered feedback and encouraged to apply the following year. 1 year (15 credits each) college level math and English. For those who have taken programs such as INS, M20 or M&M the math requirement has been met. 2018-03-28 Application deadline extended: new deadline is April 18th.